I started my cycling hobby on the road and it took me several years to get on the track. I preferred to kit up and ride from my house. I was too lazy to pack the car and drive somewhere to ride what had just been packed in the car. So, it wasn’t until a few years ago that I got on the track. My friend Alison offered to help me find a track bike and pick me up for weekly coached workouts, plus I needed to see what this track racing business was all about…I was getting schooled at almost all the crits by a local phenom half my age who is now a World Champion on the track. You might have heard of her: Jennifer Valente. At the first workout, listening to Alison and the other track riders talk was like listening to a foreign language and I felt overwhelmed, so I asked a lot of questions. They were answered with motor pacing. YEEEEE-HAAAAWWWWWW!!!!! I couldn’t’t sleep for hours after getting home that night because my heart was still racing from both the effort and the excitement! Why did I wait so long to try this?! After several weeks of workouts, it was time to go to TNR (Tuesday Night Racing). For a minimal fee, I was able race in 3 races, watch other categories race, have an announcer, and an audience that actually CHEERS! This sounded super fun (and productive) to me! I was told to race with the B group based on my road experience. ( Mixed men and women, but a women's only category is once a month) So, after stressing about which cog to warm-up on I lined up at the rail and off we went. Warm-up was like a well-rehearsed circus act with 3 groups of riders (A’s, B’s, C’s) all riding single file on the blue line. What a sight to see as the sun was setting! It took me a few weeks to be able to finish with the group, but that didn’t matter because I felt as if I were FLYING! My crit racing was benefiting from the track time, my love of the sport of cycling had deepened by trying another form, and I was making new friends, even though they were freaking me out with all the talk about The Black Curtain. With a couple of seasons in my legs, I can ride toward the front of the group, bridge to breaks, time my efforts, and move around the track with ease compared to a year ago. When some of the A’s crash the party in the B’s, I get my but kicked. That’s ok; my goals just need to be adjusted for the night. 1. Help and encourage your friends. I am so thankful to have a friend like Alison. She made taking the first few laps around the track less scary. 2. Find out what the cream of the crop does. If you want to join them on the podium (or match their run time or land a similar job), you have to know what they know. 3. Give it time. New things always feel awkward and unnatural. After several sessions of practicing your new skill, you will be more comfortable. 4. Create intermediate goals. I haven’t won a race at TNR yet. Along the way to a win, I have small goals, like staying in longer, moving up faster, and holding my down my food. The good thing about our local track racing scene, is that you usually get at least 3 races a night. So if you mess up the first one, you get a change to try again! 5. 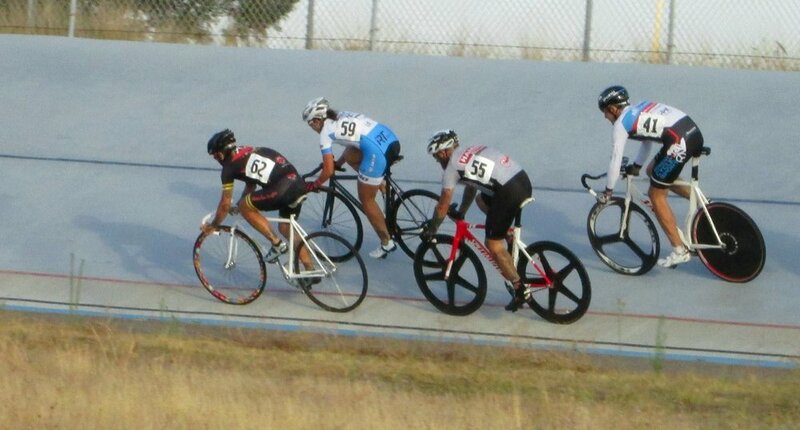 Track racing is tons of fun, and it is great training for road and crit racing. 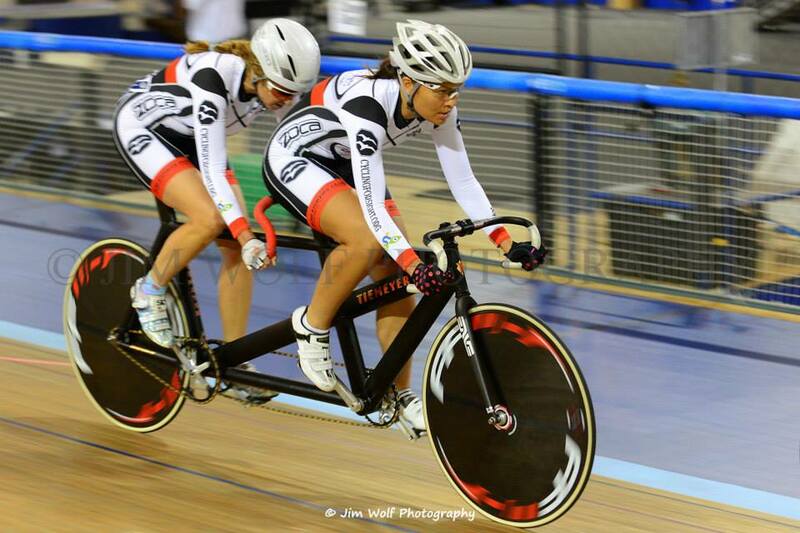 It is tough to simulate that kind of intensity outside of a race, and track cycling fits the bill.